Don't let the city's nickname--"Land of Drizzle"--dampen your spirits during a trip to Sao Paulo. Museum-lovers will appreciate Pinacoteca do Estado de Sao Paulo and Football Museum. Give yourself a bit of retail therapy at Paulista Avenue and Centro Cultural Banco do Brasil. 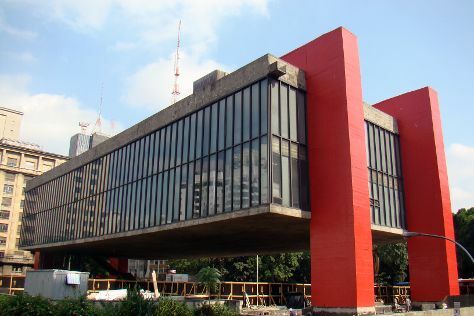 And it doesn't end there: pick up some local products at Mercado Municipal de São Paulo, examine the collection at Catavento Cultural e Educacional, stroll through Ibirapuera Park, and explore the world behind art at Museu de Arte de Sao Paulo Assis Chateaubriand - MASP. For where to stay, more things to do, and tourist information, read our Sao Paulo sightseeing planning app . In April in Sao Paulo, expect temperatures between 30°C during the day and 20°C at night. Cap off your sightseeing on the 6th (Sat) early enough to travel back home.